Catastrophic injuries strike without warning and cause extensive damage that is likely to prove life-altering. Traffic accidents, falls, and workplace accidents are leading causes of catastrophic injuries. Sports injuries can have catastrophic consequences, too. Football, soccer, basketball, hockey, track and other sports leave athletes with serious damage when injuries occur. Because catastrophic injury claims can be among the most complicated types of personal injury actions, ask about your attorney’s experience handling such cases. 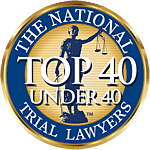 At Associates and Bruce L. Scheiner, our catastrophic injuries lawyers stand behind a 40-year record of success that is your assurance of quality legal representation. Victims of catastrophic injuries can find their lives – and those of their loved ones – changed in a matter of seconds. Unexpected events can cause injuries so severe that they have consequences for your entire future. Spinal cord injuries that cause neurological damage or paralysis, traumatic brain injuries that result in brain damage, amputations of limbs, loss of vision, major burns and other devastating harm can leave you with extensive medical, financial and other needs you are unable to meet. To successfully pursue a claim for damages you will need the help of a qualified personal injury law firm with the resources and experience to wage a multi-million dollar battle. At Associates and Bruce L. Scheiner, Attorneys for the Injured, you will find the extensive experience vital to properly handling cases involving catastrophic injury. Because claims involving catastrophic injuries can be especially complicated, you need the assurance that comes from choosing the firm that has capably served Southwest Floridians for four decades. Traumatic injuries to the brain constitute one major category of catastrophic injuries. At Associates and Bruce L. Scheiner, we have seen the latest reports from the Centers for Disease Control and Prevention that estimate as many as 1.7 million Americans suffer a traumatic brain injury every year. More than a quarter-million of those victims require hospitalization and 52,000 lose their lives. Those who live may face a future colored by thinking and memory problems, changes in taste or other sensations, difficulty communicating, and personality alterations. Our firm understands the complexities of handling cases involving serious injuries to the spinal cord. This type of catastrophic harm can leave victims with long-term complications that include neurological impairment, full or partial paralysis, respiratory issues, problems with the urinary or gastrointestinal tracts, and depression. The CDC estimates that annual costs for medical care for a victim of spinal cord injuries could total $30,000. Lifetime costs soar into the millions. Our experienced personal injury attorneys know that motor vehicle crashes are the leading cause of spinal cord injuries. At Associates and Bruce L. Scheiner, Attorneys for the Injured, we understand that a key facet of providing you with the best legal representation in the wake of a brain injury, spinal cord injury, amputation or other severe injury is the ability to look ahead. You need an attorney who can work effectively with doctors, therapists, and other professionals to determine the extent of your injuries and intelligently and accurately forecast your future medical and financial needs. Fair compensation for the harm you’ve suffered hinges on that capability. Our firm is dedicated to providing victims access to professionals in medicine, insurance, accounting, investigation, and other fields – and to building cases ready for the courtroom. We often call on their know-how to help us prepare a strong case designed to convey the full extent of your injuries and to seek the compensation you need to ensure coverage for your medical expenses, current and future loss of earnings, pain and suffering, and the suffering your family has endured because of your injuries. Call today and ask for a free evaluation of your injury case. If you’re unable to come to our offices, the personal injury lawyers at Associates and Bruce L. Scheiner, Attorneys for the Injured, will meet with you at your hospital room or in your home. There are no costs to you unless we win.